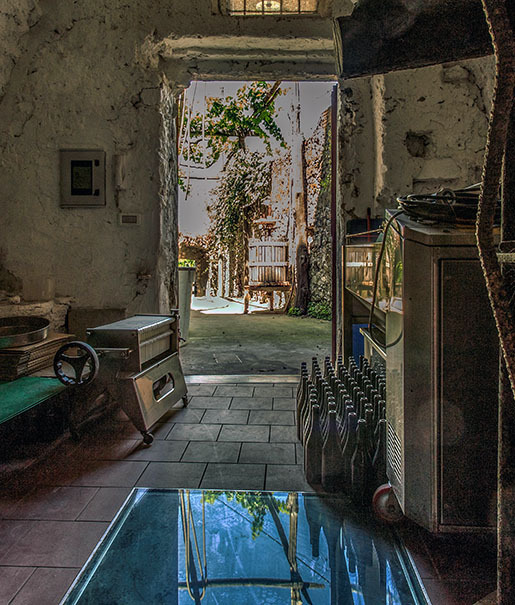 As history teaches, Capri was one of the favorite destinations of the leading peoples of this part of Mediterranean sea. 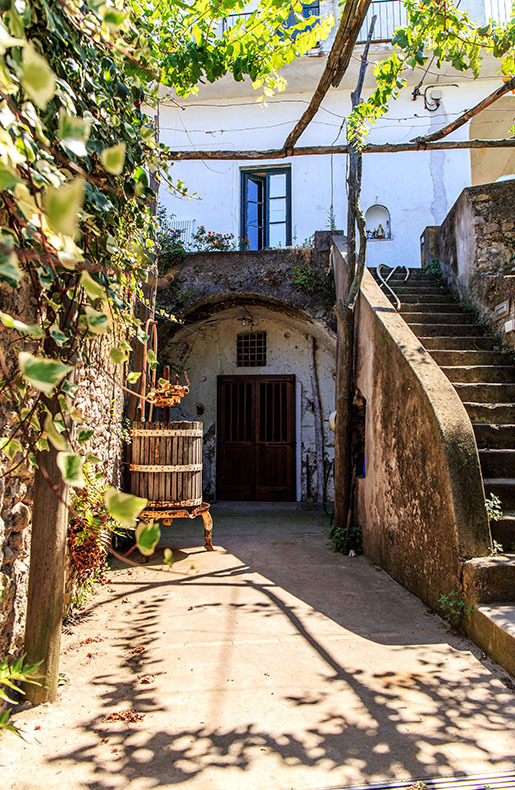 Among those, the Romans were doubtless the ones that gave the greatest impulse to the architectural development of the island. 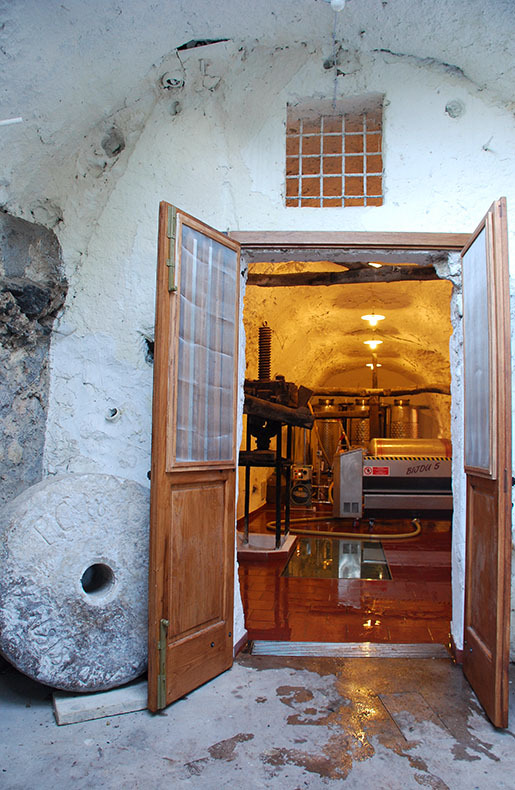 The Scala Fenicia cellar luckily benefits from the enterprise of those people. 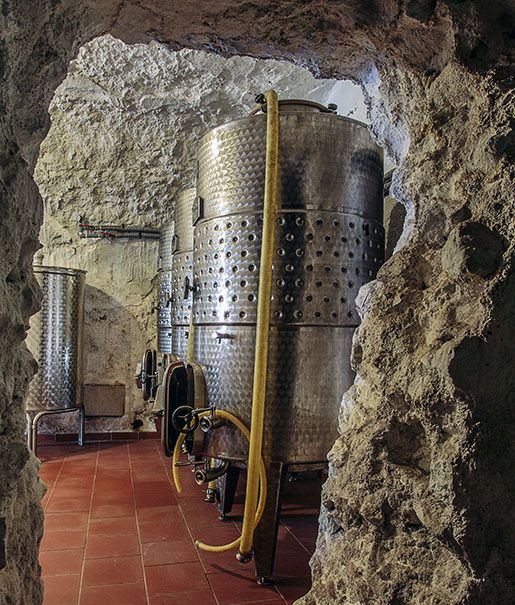 Our wine cellar has been built inside an ancient Roman cistern that was part of a water system very similar and probably historically coeval to the one of Villa Jovis, the Capri residence of Emperor Tiberius. 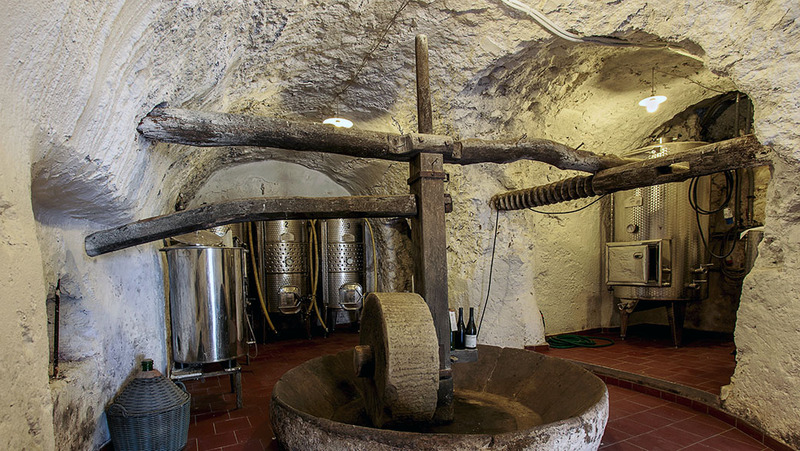 Its thick walls and vaulted ceiling provide an ideal climate temperature for wine preservation. 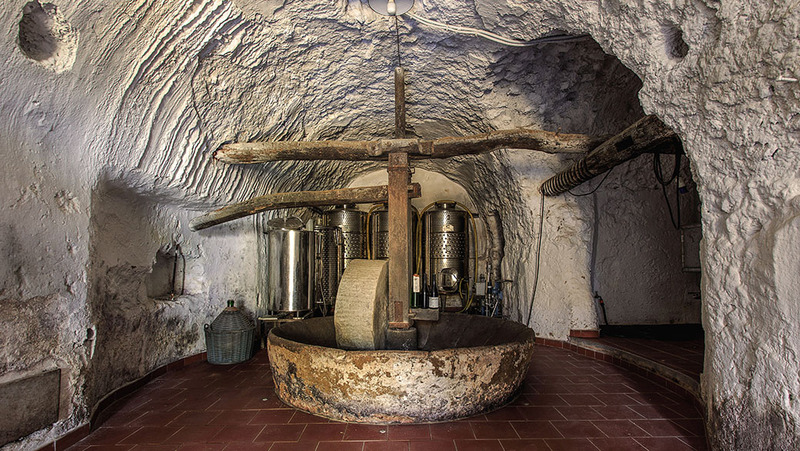 The vinification of the white Capri DOC takes place inside a cellar used for this purpose since 1818 and before that used as an oil mill; it indeed guards an ancient grindstone, a tank and a big wooden screw of the beginning of the 18th century, as well as a press for the grape pressing dated around 1850.